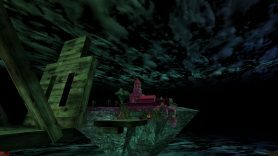 Sky Isles is DeluxScan’s very first map release. Judging by the file date in the archive it was published on 31st July, 2003, close to the end of the era when the last of the great Unreal single player mapping projects came out. It is a pretty decent work for a first map and even its abrupt ending with a missing “cutscene.unr” file error can be forgiven when put into perspective, as it actually turned out to be just part of a bigger project called Na Pali Odyssey – Episode One: Sky Escape, released a little less than two years later. The first playable map of Na Pali Odyssey is pretty much the same map as Sky Isles with minimal alterations, so Sky Isles is widely considered just a part of that bigger campaign. 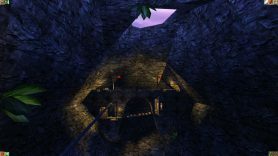 Nevertheless, because we at Unreal Archives care about the accurate documentation of Unreal SP mapping history (after all, probably enough of it is lost forever already), we do dedicate Sky Isles its own download page. This topic contains 0 replies, has 1 voice, and was last updated by Archivist 15 years, 9 months ago. This is the auto-generated forum topic dedicated to Sky Isles.